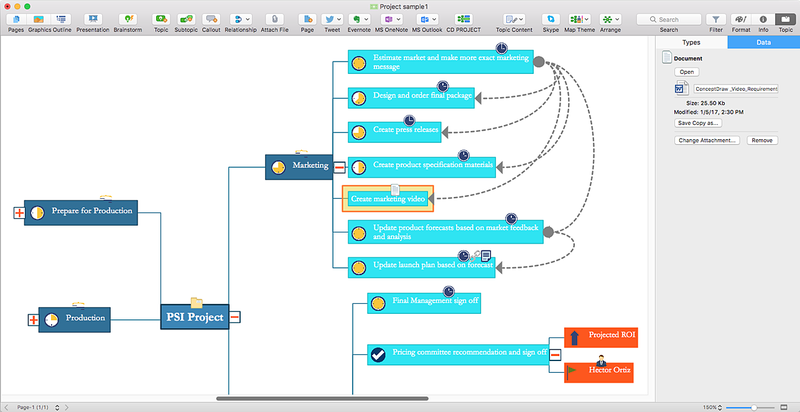 ConceptDraw MINDMAP v9 is a versatile, yet easy-to-use tool for organizing ideas and data. 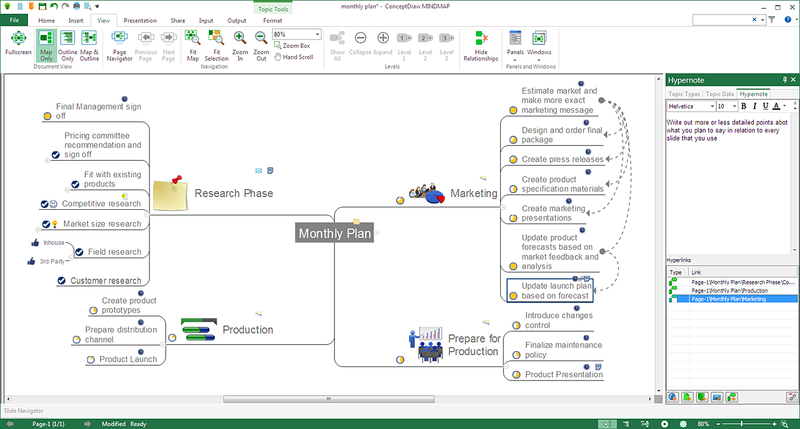 ConceptDraw MINDMAP v9 technology helps you get your work done, provides you with many options, helps you utilize intelligent topics to structure data, and allows you to extend the product with ConceptDraw Solution Park. 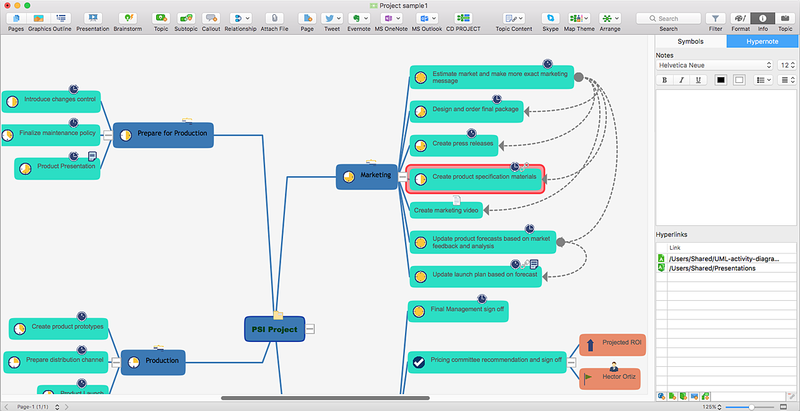 ConceptDraw MINDMAP v9 has all of the time-saving features of the ConceptDraw MINDMAP v8 with some highly anticipated enhancements. 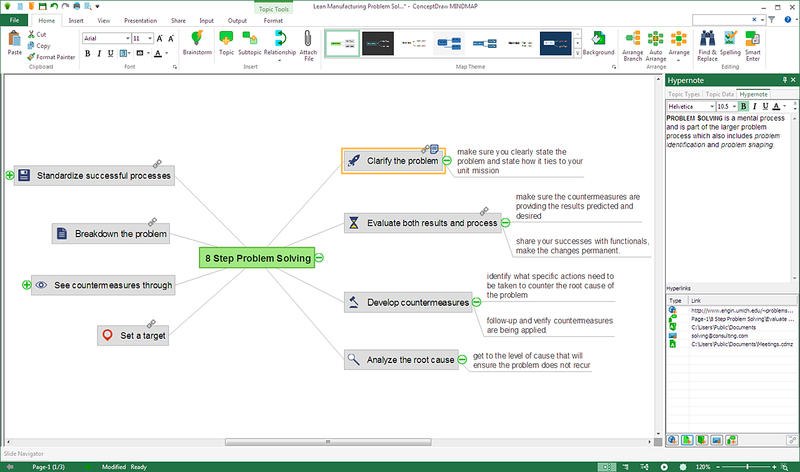 The new ConecptDraw MINDMAP v9 is featured with completely revamped graphical user interface for macOS and Windows. Product supports high resolution displays. The new 64 bit version is dramatically faster, and it can address more memory. Users of supported 64 bit operating systems will experience improved performance and enhanced capabilities: Faster program startup times, increased mind map rendering speed and improved processing of large files. 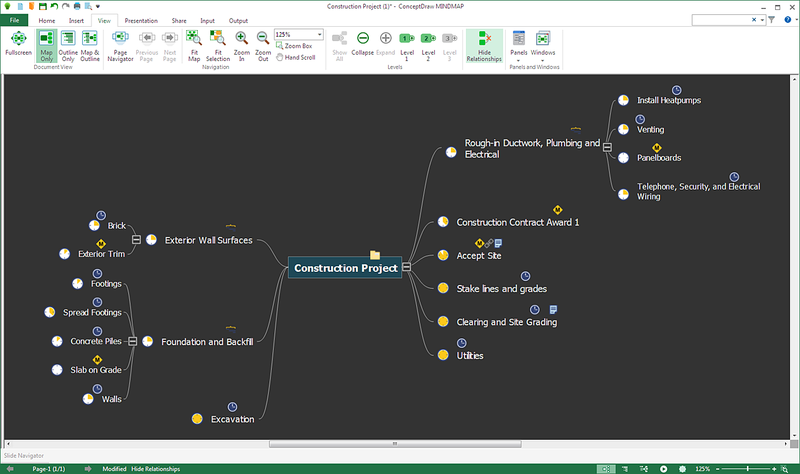 There are three new mind map Layout styles available from Arrangement tool. Choose one of them and your mind map will be automatically rearranged including all topics and subtopics. You can add multiple hyperlinks to files and folders. You can link topics on different pages.